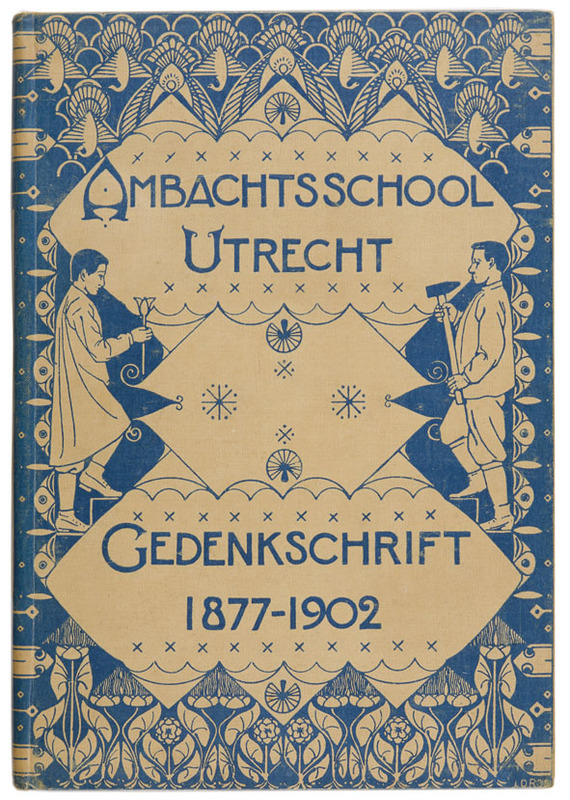 This beautiful bookbinding is designed by Johannes Ros (1874-1952) on the occasion of the 25th anniversary of the ‘Ambachtsschool Utrecht’ in 1902. Ros worked as a drawing teacher at this school. In the same year he was appointed as a lecturer at the Royal Academy of Fine Arts in The Hague. Ros was best known for his book on the design of surface ornament, wich was a guide for many Dutch Art Nouveau artists. The ‘flat’ view of natural motifs and geometric order in this cover design are characteristic of the Dutch Art Nouveau (Nieuwe Kunst).